Showing 1 - 5 of 5 Products for Automatic Transmission Oil Pan. Additional Fluid Capacity: 2 Qt. 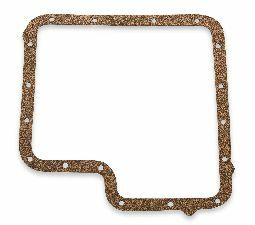 Mr. Gasket is expanding our current line of transmission pans. We are proud to offer these pans for several common transmission applications. These will be available in both steel and aluminum. The steel pans are available in zinc, chrome or EDP black. The aluminum are available polished or EDP black. We also have a deep 2qt extra pan for the TH-400. With all these options Mr. Gasket is sure to offer a transmission pan for your current or next project. EDP is a process where metal parts are electrically charged and dipped in an opposite charged paint solution. The paint is then attracted to the metal providing total part coverage with excellent resistance to rust and elements while also creating a smooth, non-porous and even layer of paint. The coating looks great as-is or makes a perfect base to paint or powder-coat.